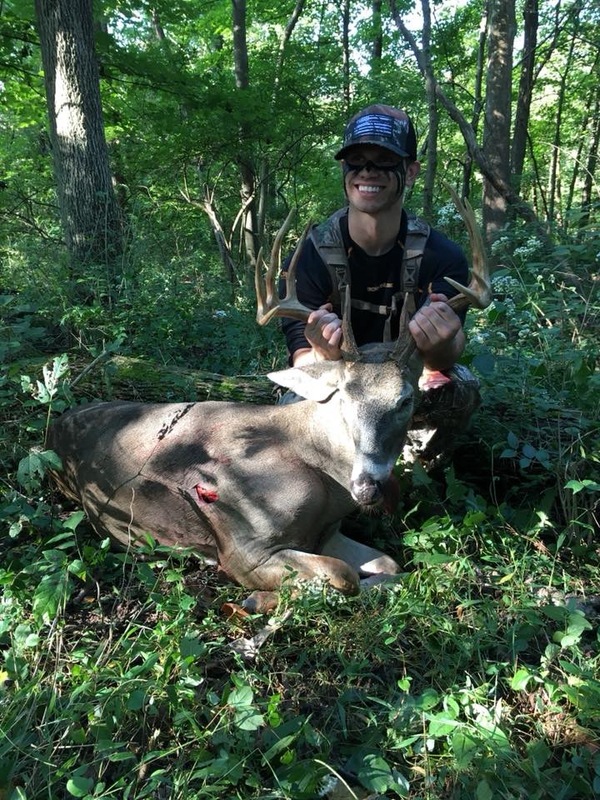 Cory shot this buck on Ohio’s opening day of archery season in 2018. 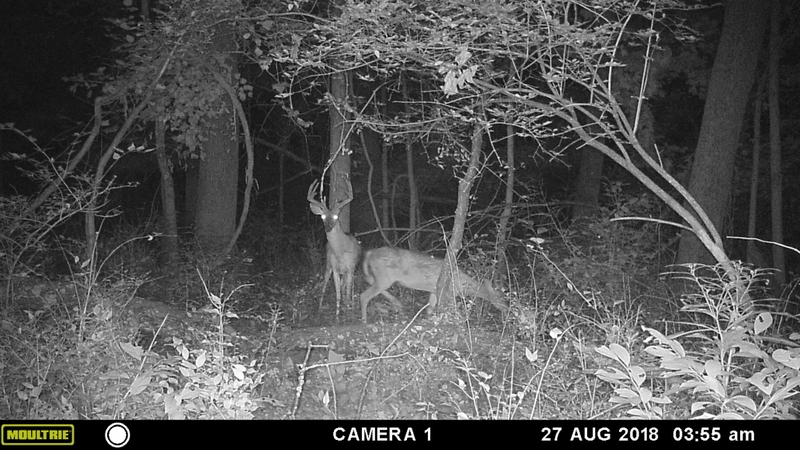 Cory has been following this buck for 3 years now. 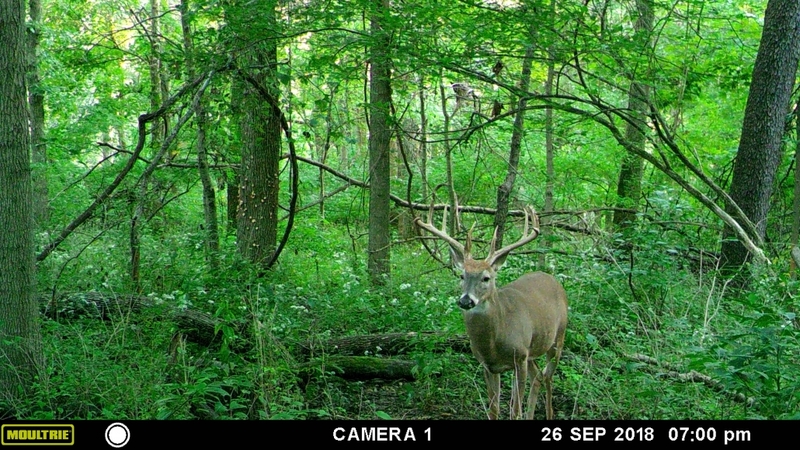 He first appeared 2 years ago at the very end of the 2016 bow season. 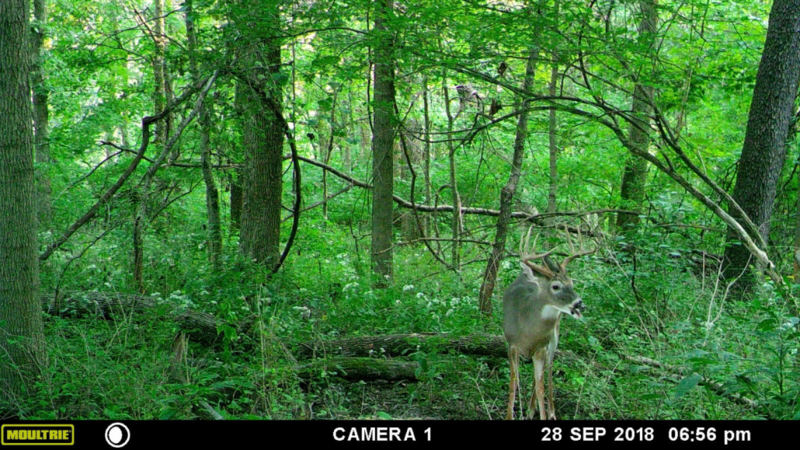 He started showing up on trail cam once the temps hit season lows and snow was on the ground. At the time, he was just a small 2 year old with a lot of potential. Fast forward 2 years to the summer of 2018 and that small 10 was no longer so small.. 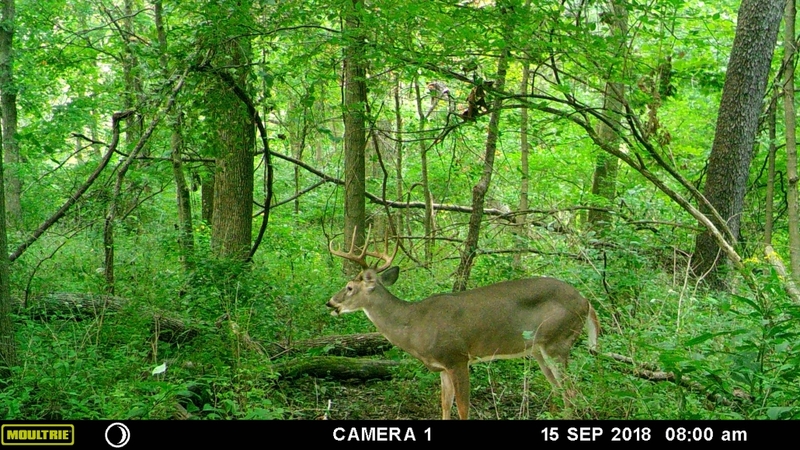 He started showing up on camera in velvet in July. 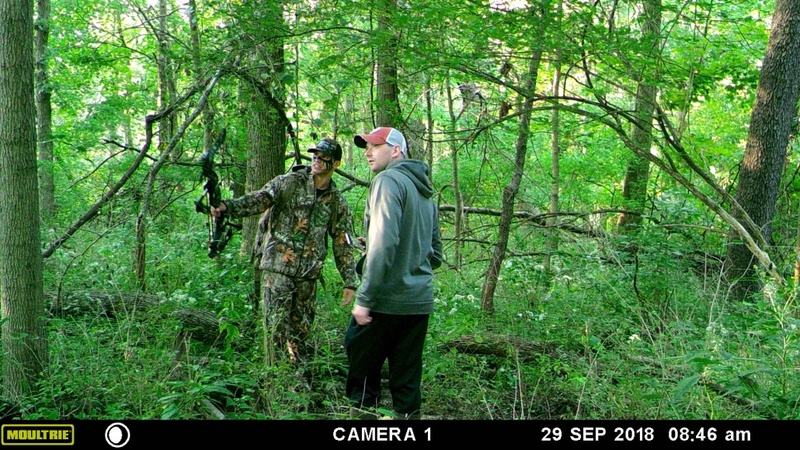 He was living in the area and one of the most frequent bucks Cory had on camera. 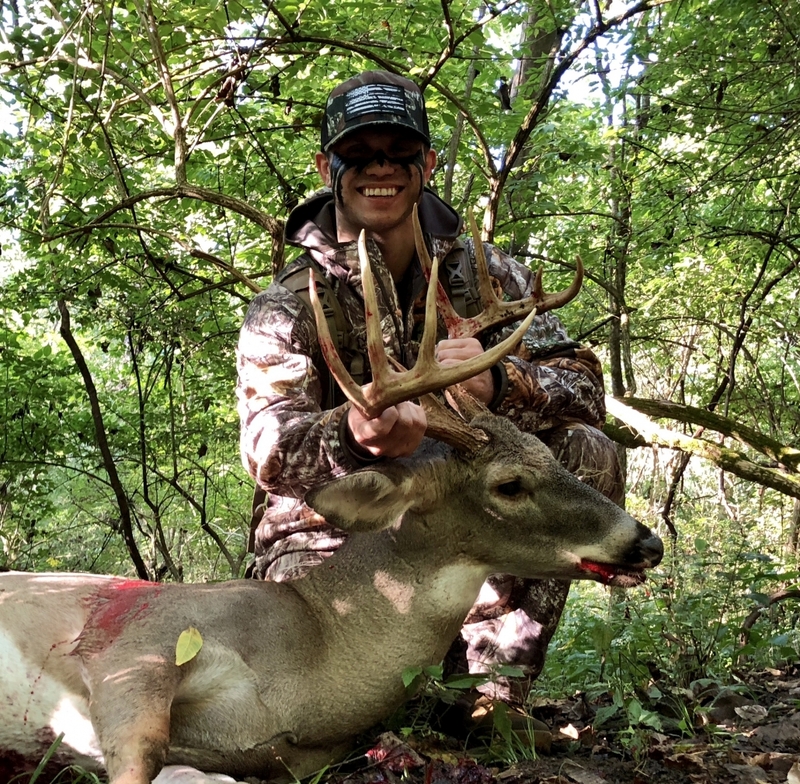 With a near perfectly symmetrical 10 pt rack, he immediately made the hit list. 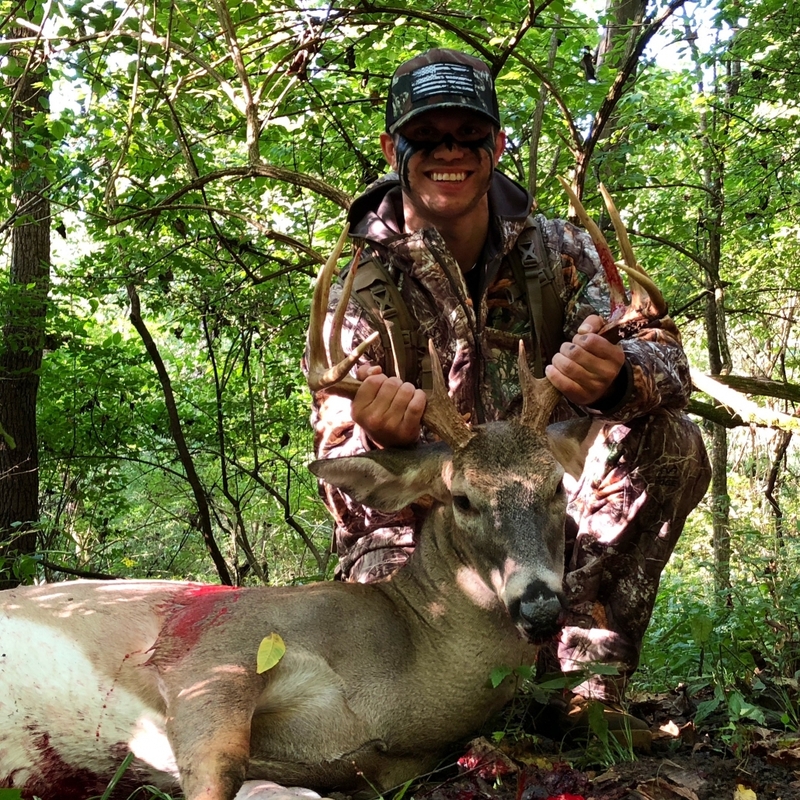 Accompanied by 1 other wider buck, Cory made the decision to take whoever crossed his path 1st. Featured below is the wide 10 who was also on the hit list. 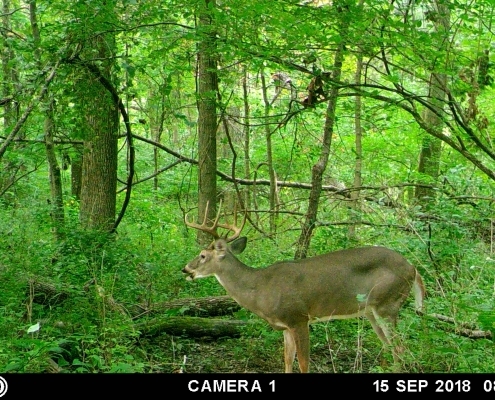 Along with a pic of him from 2016. 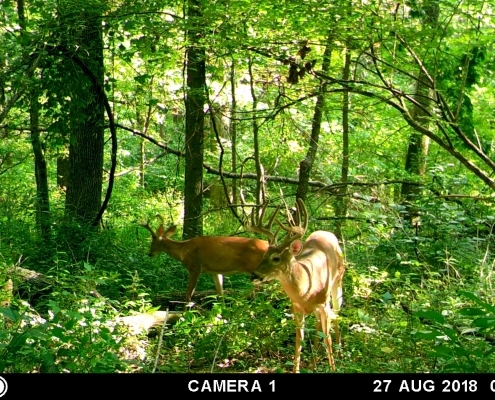 These bucks were frequent in the area.. With multiple daylight pics of both deer. 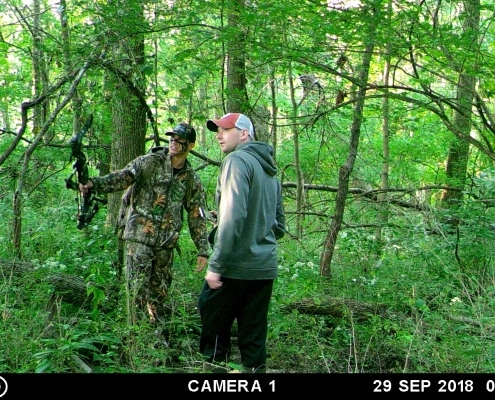 Cory began the countdown for opening day with high anticipation. Cory Set up in the thick, essentially right on the edge of their bedding area. 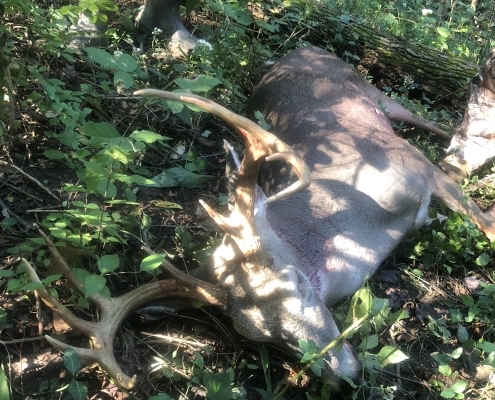 18 foot ladder stand on the outskirts with a lane straight through the thick. The key to not disturbing this area was definitely the access points. 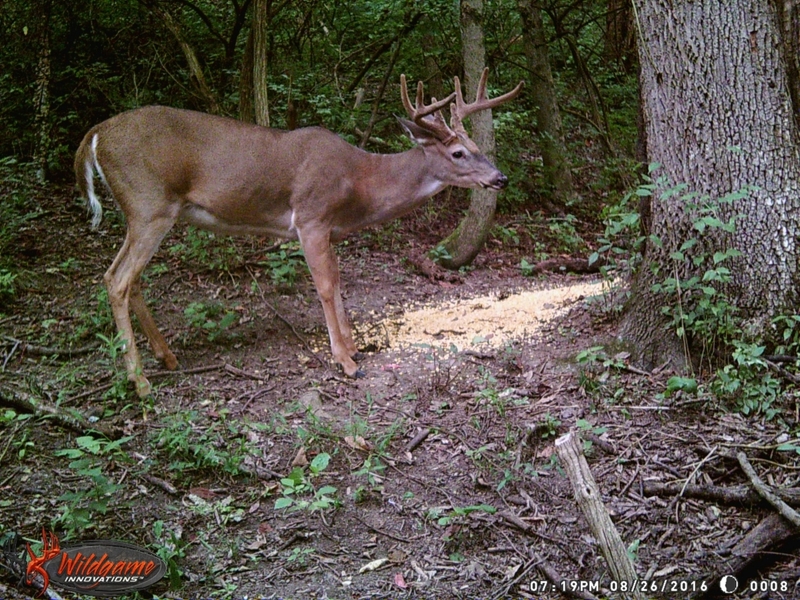 Cory had easy and immediate access to his stand where he never had to cross any trails or bedding area. 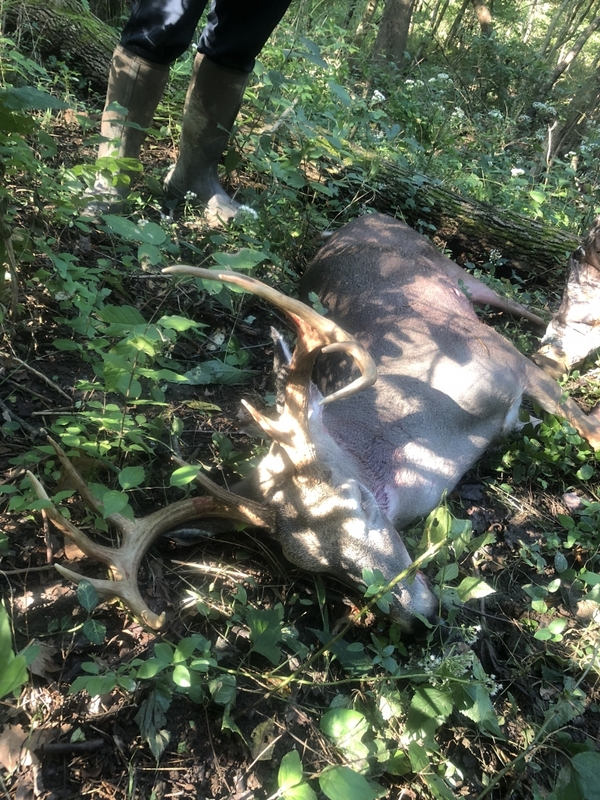 The weather was great opening morning. While still warm (mid 60’s), it was a significant temp drop from the week before (mid 80’s). 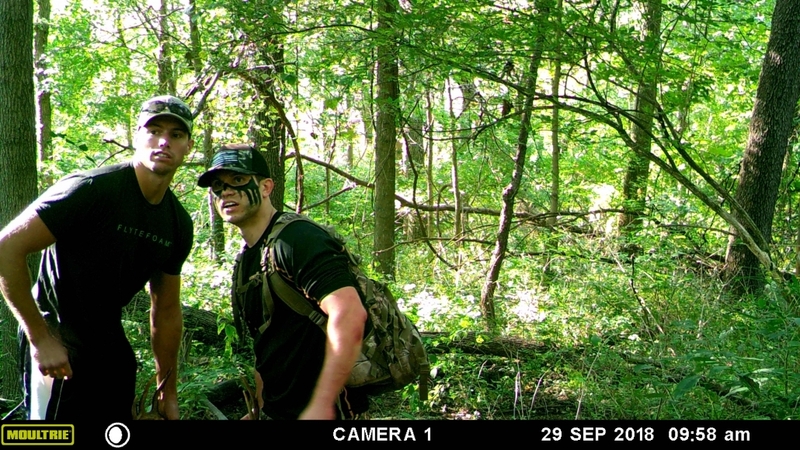 Cory had a great feeling the deer would be moving and the trail cams were showing it. 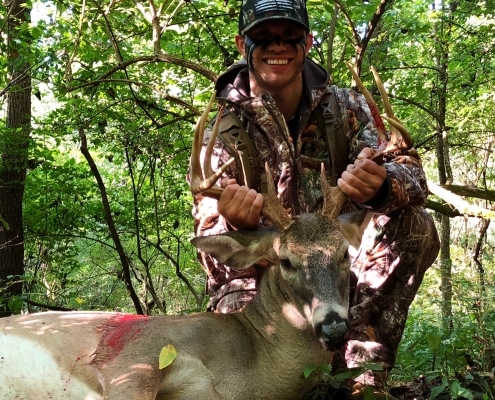 Cory slipped into the stand 35 minutes before daylight and it was a good thing he did… 15 minutes before day light in walks a 6 pt buck.. Meandering through the area the 6 pt did not seem to leave. 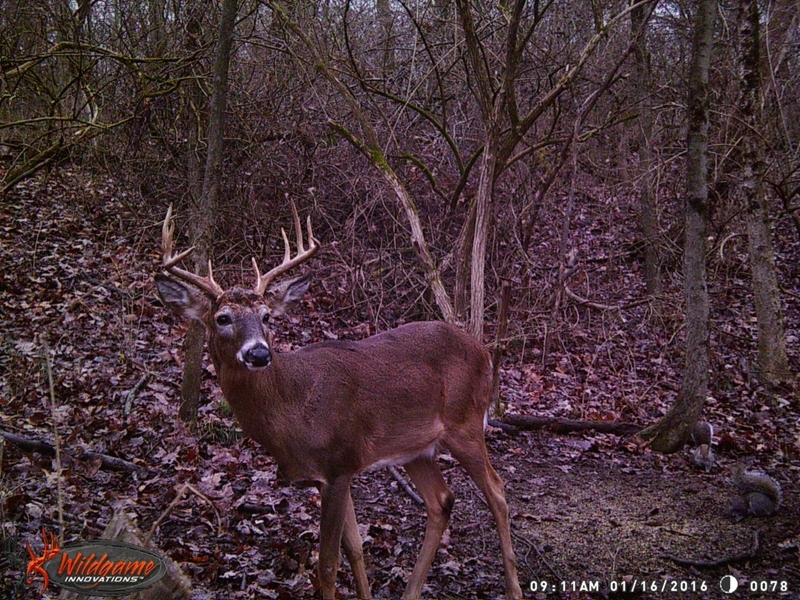 Just after day break the 6 pt began to be on high alert. 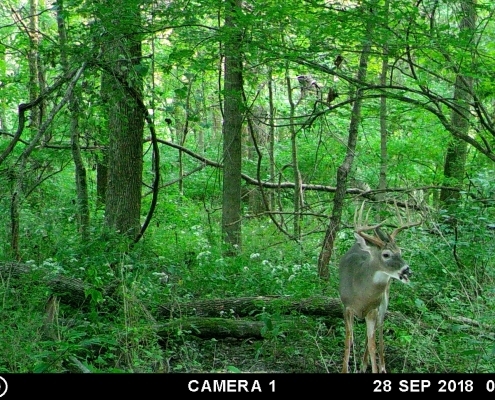 Checking over his shoulder and watching as the symmetrical 10 moved in. 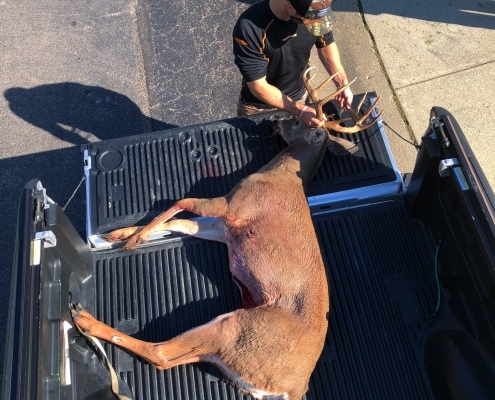 6 pt Checking for the symmetrical 10. In walks the symmetrical 10, stopping to rip up a tree branch and make a scrape. 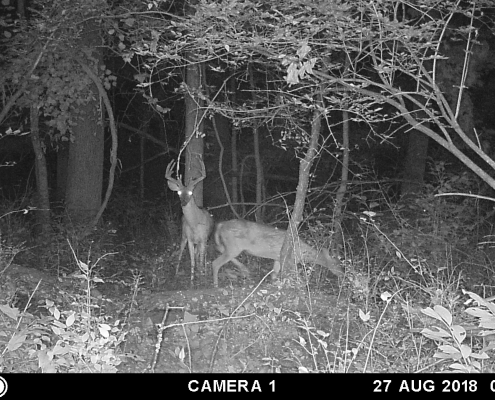 Quickly pushing out the 6 pt, it was clear who was in charge in the area. 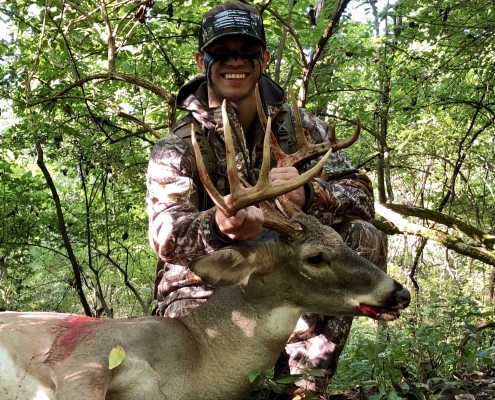 With his focus on the little 6, Cory had plenty of time to ready his Elite bow and draw back without the 10 noticing. As soon as the 10 broke the lane, Cory smoked him. 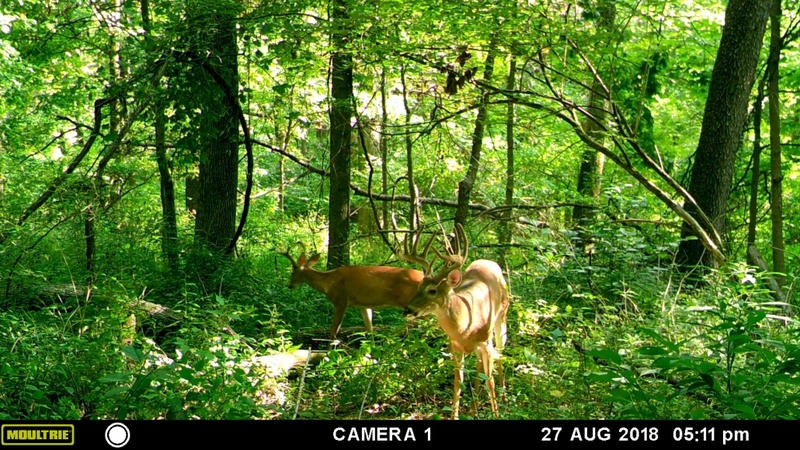 Double lung shot, the buck made it about 100 yards before piling up. 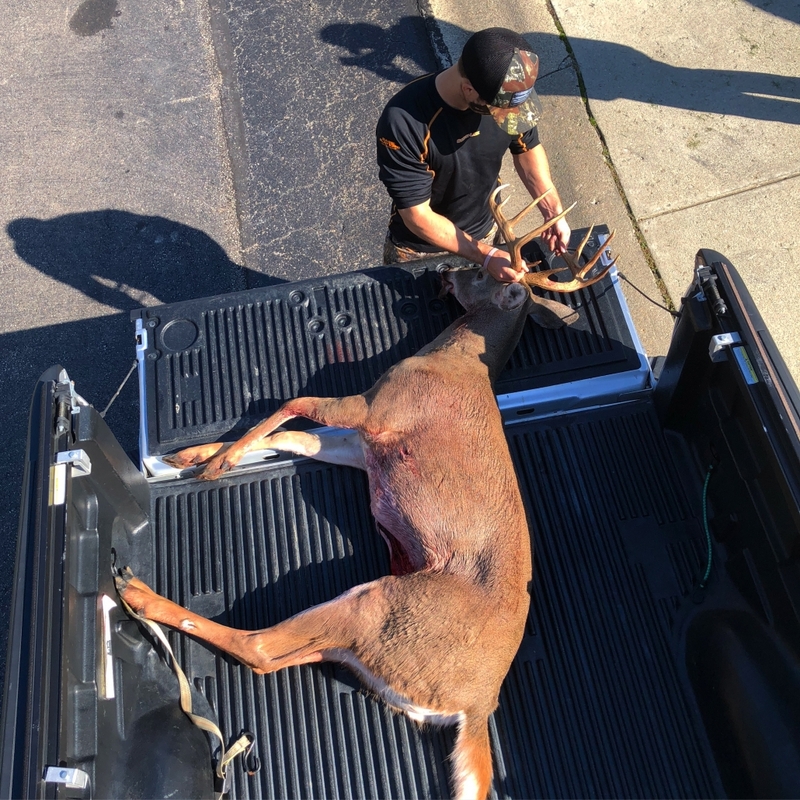 With a huge thanks to Shawn Wright, Joe Godar and Thomas Jaeger along with Andi the tracking dog, Cory was able to recover the buck and get him cleaned up and drug out in time to play cameraman for the afternoon hunt!